Summer is approaching fast. It is again that time of the year when you have to think about where to go on holiday, somewhere not too far or too fancy, where you can enjoy your time with the kids. Where is this place that can make both parents and children happy? Have you already considered Nice? Yes, Nice, as the Côte d'Azur, or the French Riviera, is the perfect place to visit with kids as it has a lot to offer for young and adults. Curious to know more about it? Hold on a little... Before departure, you should definitely plan at least where you would like to stay. This is actually very easy. 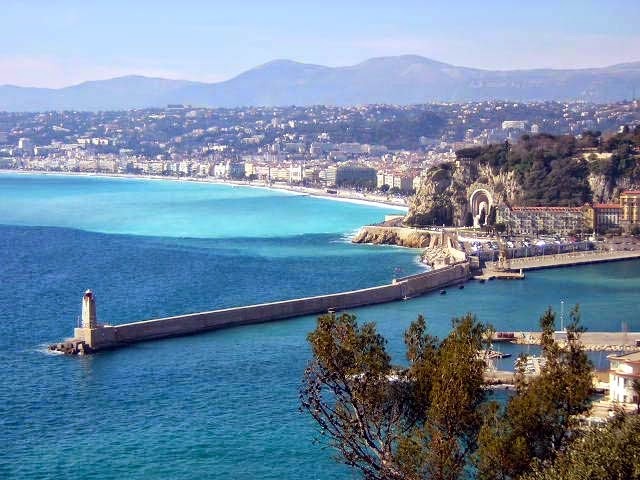 You can use sites like venere.com, check all accommodation opportunities in Nice suitable also for kids and find the best one for you and your family. So, once you are ready to start thinking about your itinerary, here are a few things you can do on the French coast. Nice has known to have more than 300 days of sunshine throughout the year. Not bad, uh? What a better place to bring your kids to enjoy some warm weather and a few days on the beach. Your kids can play with pebbles and swim in the water of the Mediterranean Sea, while you relax on the beach reading your favourite book and have a special drink with your loved one. Nice has a very good bike rental system, Vélo Bleu, that allows you to rent a bike and explore the city at your own pace at a very small price. For your kids, this will definitely be a wonderful and exciting adventure in the streets of an unknown place and you will get a glimpse of the city, cycling through the promenades like a real French would do. On Promenade des Anglais, there are a lot of cafés and restaurants where you can take a break, enjoy the sunny weather and eat some special dishes before getting back on your bike. Once you are in Promenade des Anglais, you should stop and visit Parc Phoenix, a beautiful botanical garden in the centre of Nice. In this park, there are more than 2500 species of different plants from all over the world, some of which are rare and preserved in this special tropical greenhouse thanks to the most advanced technologies. Parc Phoenix is not only about plants though: there are also marine animals, reptiles, birds and robotic dinosaurs. Reach up to the Colline du Chateau, the castle hill, and discover the former site of a main defense bastion in Nice. From there, you will have a wonderful view of the city and a breathtaking seaside view. If your kids are not into ruins and graveyards, let them have fun in the play areas with contemporary structures surrounded by vegetation and waterfalls while you discover their beauty and mysterious charm. Post in collaboration with Mary, travel and fashion blogger.